Having a wisdom tooth pulled is a rather simple procedure, but the thought of it still leaves you feeling a little anxious. You’re concerned about what you should do afterwards. What foods can you eat? What activities are off limits? 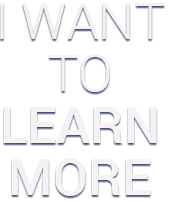 You also want to know how to properly clean the site to prevent infection and dry socket. Thankfully, your local dentist will weigh in with answers to these questions about oral surgery in Kent, leaving you feeling more comfortable about the entire process. 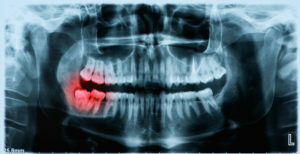 What Happens When Your Wisdom Tooth is Extracted? Before we discuss what activities you should engage in post-surgery, let’s take a look at what happens during the extraction of your wisdom tooth. This will give you a better understanding of why it’s so important to make the right decisions during your recovery. A local anesthesia will be applied to numb the area where the procedure will be performed. Your dentist will make an incision in the gum tissue to expose the tooth and bone. He’ll then remove the tooth. The next step is to clean the socket that the tooth vacated. In most cases, your dentist will place sutures to close the wound and encourage healing. Finally, a gauze will be placed over the extraction site to control bleeding and to help a blood clot form. As the above steps indicate, the area of the extraction will be left in a vulnerable state immediately after surgery, so your dentist in Kent wants you to eat the right foods so there will be no interruption in your healing process. Apple sauce – A soft and smooth food, apple sauce requires minimal movement of your jaw and no chewing. Ice cream – Although it’s not the most nutritious option, if you desire a treat, ice cream is the route to take. But be careful to skip the toppings, as they could irritate the extraction site. Soup – Broth-based soups are great to consume after your procedure, but be sure to steer clear of those with vegetables and meat that require some chewing to avoid damaging the healing area. Jell-O or pudding – This is another great snack option that will satisfy a craving for something sweet, while providing a soothing sensation. Mash potatoes – For a more wholesome meal that “sticks to your bones,” mash potatoes are a great choice. Just be sure that if you add any toppings, they aren’t any kinds that have hard edges or require any chewing. Yogurt – If you feel deprived of protein after your surgery, yogurt is a great option that won’t require you to risk infection through chewing. Smoothies – Another way that you can get some protein in, is to make a smoothie. You can blend a protein powder and a mixture of fruits to create a meal that is packed with nutrients. Instant oatmeal – A final food that you can eat is oatmeal, which is great for satiating hunger and providing fiber, calcium and other vital nutrients. Along with eating the right foods, it’s important to know how to accommodate for the missing tooth and keep the socket clean. As a general rule, you should avoid brushing your teeth for the first 24 hours following the surgery, but when you resume, be gentle around the affected area. Also, it’s a great idea to rinse your mouth with warm salt water every two hours and after each meal. Your care in carrying out these tasks will prevent a serious condition called dry socket, where the post-surgical blood clot is lost, and your wound is exposed. So now that you’re more informed about the tooth extraction process, you can make wise choices after your wisdom tooth is pulled and facilitate rapid healing. If you have other questions or need to get expert advice about how to handle your wisdom tooth, just reach out to your local dentist today and schedule an appointment. A graduate of the University of Washington Dental School, Dr. Donald Hainer has been in private practice in Kent for over 27 years, and still remains dedicated to delivering the absolute best care possible to his patients. 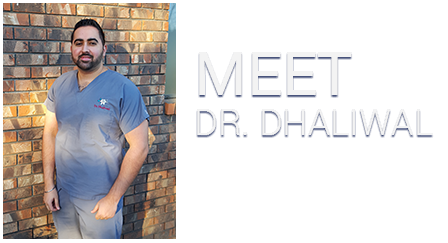 He practices at Complete Dental Care and can be reached for more information through his website.